Since 2015, MullenLowe has consistently delivered Best in Show caliber work in both the Gold and Innovation SABRE Awards. Its signature work for American Greetings — ”World’s Toughest Job”— clearly wasn’t a flash-in-the-pan, not that there should have been any doubt. 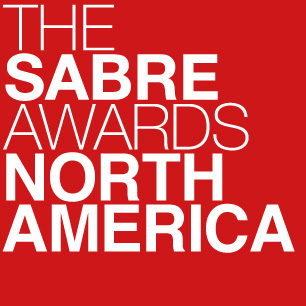 For example, its JetBlue FlyBabies campaign won the Brand Video category at the Innovation SABRE Awards earlier this year while also making the Best in Show shortlist. “This changes my perception of babies crying on flights and I’ll think of this every time I hear one now” is what one of the judges said. That’s exactly what this campaign intended. Also consider MullenLowe’s follow-up work with American Greeting. The campaign disrupted SXSW by going totally analog at a digital festival as a way to combat the notion that greeting cards are dead. The “Give Dad Nothing” work with Century 21 allowed people to literally give their dads “nothing” on Father’s Day with a parcel of Nothing, Arizona — an uninhabited ghost town about 120 miles from Phoenix. Over the past year, the firm has bundled more of its services within the larger MullenLowe brand adding new dimensions like CEM/CRM, shopper marketing, SEO and experiential to its PR work. Managing partner Sheila Leyne has overseen the PR group for more than 20 years with a leadership bench that includes SVPs Tony Labriola, Kelly Burke and Jaclyn Ruelle. Revenues grew by 18% in 2016, making this the sixth consecutive year of double-digit growth (the agency as a whole has grown more than 100% over the past six years). In addition to American Greetings and JetBlue, clients include Capital One, Century 21 Real Estate, Naked Juice and Tropicana Probiotics, Unilever (new), Country Crock (new) and Atrium Innovations (new). 2016 was certainly a big year for 360PR+ — the firm marked its 15th year, 5+ consecutive years of growth, took on a rebranding and racked up accolades, including ranking in the top 10 on the Holmes Report Creativity Index and taking home three trophies between the Innovation and Gold SABRE Awards. 360PR+ believes in “inspiring a love affair with brands” and while the language might seem flowery, it’s impressive because the firm’s big thinking actually delivers on this. For instance, to grow Ball Canning’s popularity among younger consumers, 360PR+ crafted a multi-layered campaign around limiting food waste that resulted in a tangible sales bump. “Love that this campaign includes smart research, social purpose, brilliant creative and amazing results,” according to the Innovation SABRE judges. For Honeywell, 360PR+ tapped an environmental consulting firm to compile a list of America’s Sweatiest Cities, winning the firm its second Innovation SABRE Award trophy for 2017. Olson Engage—the PR, social media and experiential division of marketing services firm ICF Olson—has enjoyed its greatest creative successes with opportunistic campaign that tapped into the cultural zeitgeist of the moment: helping Belize turn a seemingly dismissive line of dialogue on Breaking Bad into a PR campaign, working with Skittles and football icon Marshawn Lynch, and most recently partnering Blue Bunny with LeBron James to serve free ice-cream to Cleveland sports fans. It’s an approach that has helped the firm attract a blue-chip client roster. 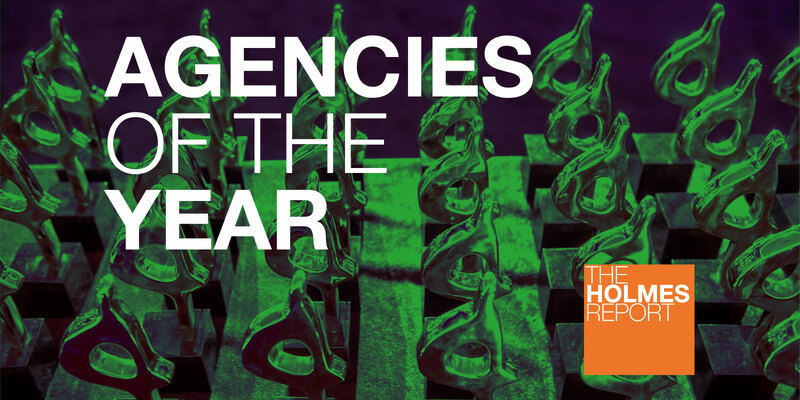 Last year, it added PR agency of record assignments for Jim Beam, Kraft Macaroni & Cheese and Velveeta, PepsiCo’s Amp Energy; social media agency of record work for Café Press and Pilsner Urquel; PR and experiential work for Chobani; and corporate work for United Health Group (employee engagement) and Servicemaster. They join Behr, Bissell, Disney Consumer Products, Johnson Controls, McDonald’s, MillerCoors, Reynolds Consumer Products, Target and Wrigley. The same approach has also established Olson as one of the industry’s top 10 employer brands. That positioning will likely be strengthened by a 2016 cultural initiative that saw Olson redefining its own purpose—“to create meaningful impact for our clients and meaningful opportunities for our people”—and ensuring that creativity is a “method, not a department,” baked into every account and every team member. In the marketing services sector, creativity is largely associated with consumer campaigns, splashy stunts, and cutting-edge content. But the reality is that is can often be more challenging to come up with big ideas for less glamorous business-to-business brands. And that is one of the areas where Minneapolis-based Padilla—which racked up five SABRE Awards nominations this year—excels. It has now been almost four years since Padilla Speer Beardsley merged with CRT/Tanaka to create an agency with a significant national footprint but also seemed to slow progress while the acquisition was absorbed. But 2016 was the year when momentum was restored: the acquisition of highly-regarded Chicago agency FoodMinds added strategic capabilities and a new practice; the addition of the Welch’s account helped contribute to double-digit growth (the firm ended 2016 just shy of $40 million), and a rebrand early in 2017 signaled that the firm was moving forward again. The strongest signal on that front was the quality of the work, however. It ranged from helping to position Cargill as a horse-feed brand; helping healthcare provider Concordia Plan Services with reputation management; marketing Wilsonart to professional designers; getting consumers excited about blueberries for the US Highbush Blueberry Council; and disrupting the water conservation conversation for Niagara Conservation. PMK/BNC has truly earned its positioning as the agency that bridges brands with pop culture — and its dominance here becomes increasingly clear as competitors race to catch up. While the category that it helped to create becomes more crowded, PMK/BNC continues to stand out with its portfolio of work that has become even more sophisticated, creative and complex. Consider, for instance, PMK/BNC worked on some of the most talked about Super Bowl moments this year: Audi’s “Daughter” campaign taking on gender equality, T-Mobile’s #UnlimitedMoves with Justin Beiber and Budweiser’s “Born the Hard Way” about immigration, plus the work for Lady Gaga’s Pepsi halftime show. The Audi commercial incurred unexpected backlash, forcing PMK/BNC to quickly quell an onslaught of negativity mostly on social media. It’s not surprising that PMK/BNC worked on so many high-profile moments considering its impressive track record for securing — and maintaining — client trust. Audi is, after all, a longstanding PMK/BNC client that has been with the agency for more than five years and 156% market growth. PMK/BNC has been with T-Mobile through 13 launches, handling its entertainment, talent procurement and project PR work. Longtime client Samsung worked with PMK/BNC on its highly-acclaimed Samsung Suicide Squad campaign that features exclusive, immersive VR content.